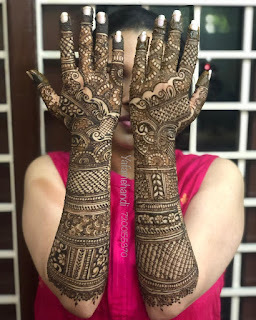 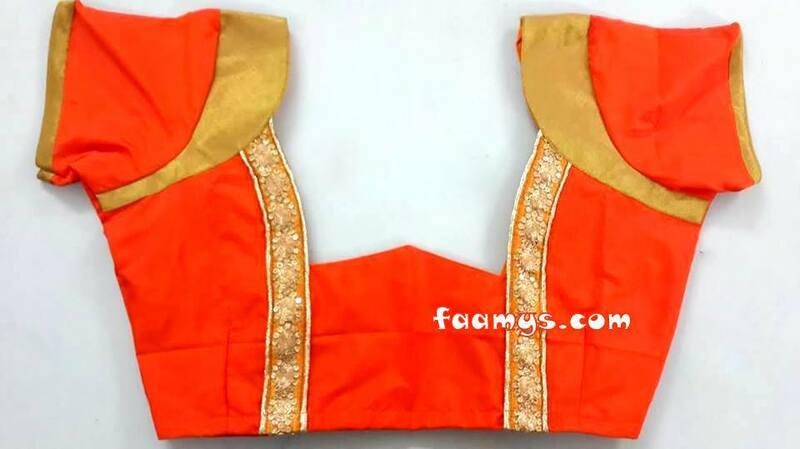 Faamy's layered pattern on neck , armhole, sleeve looking beautiful checkout out store @annanagar chennai-600040- TamilNadu, India. Faamy's pattern blouses have it own elegant look fits the client gracefully . 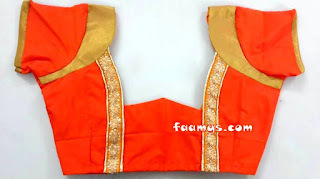 Faamy's bow pattern latest fashion attract all the ladies who are loves to wear saree tradion. 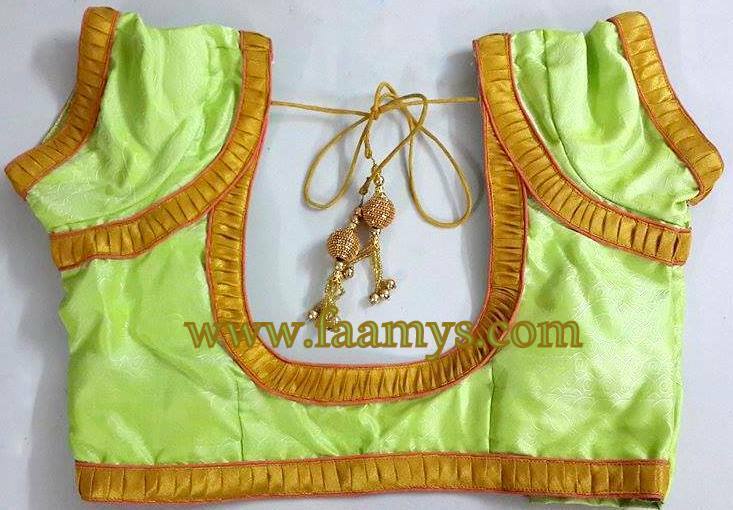 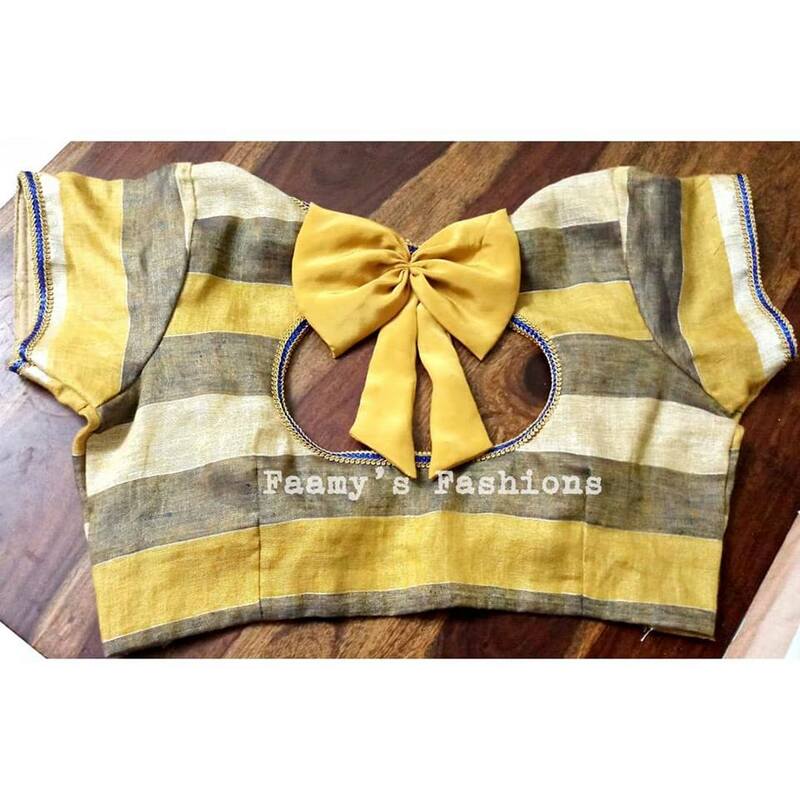 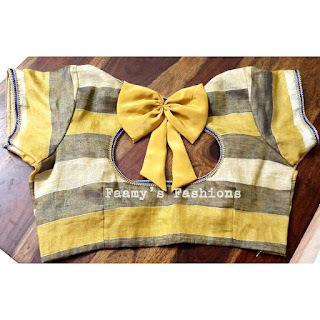 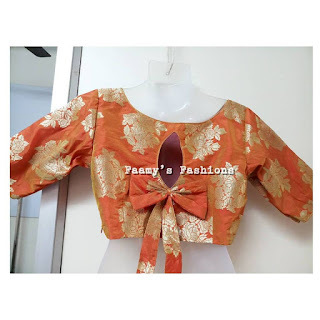 Faamy's brocade boat neck blouse with bow pattern at the back of the blouse looks elegant!